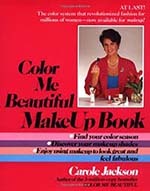 Discover your natural beauty through the colors that make you look great and feel fabulous! Four Years on the New York Times Best Seller List! I use the seasons of nature to describe your coloring and the colors that look the best on you. 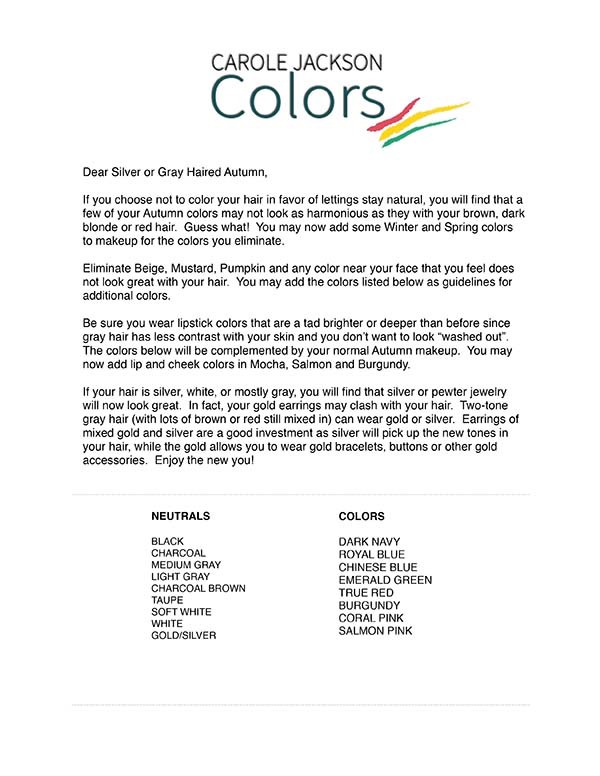 Once you discover your season you will know the perfect colors for your clothes, makeup, accessories and even hair color. 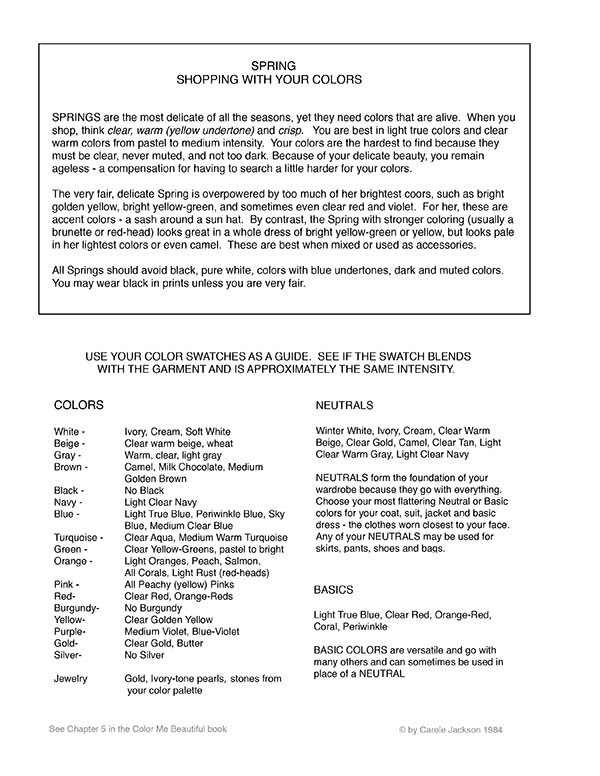 Are you a SPRING, SUMMER, AUTUMN, or WINTER? 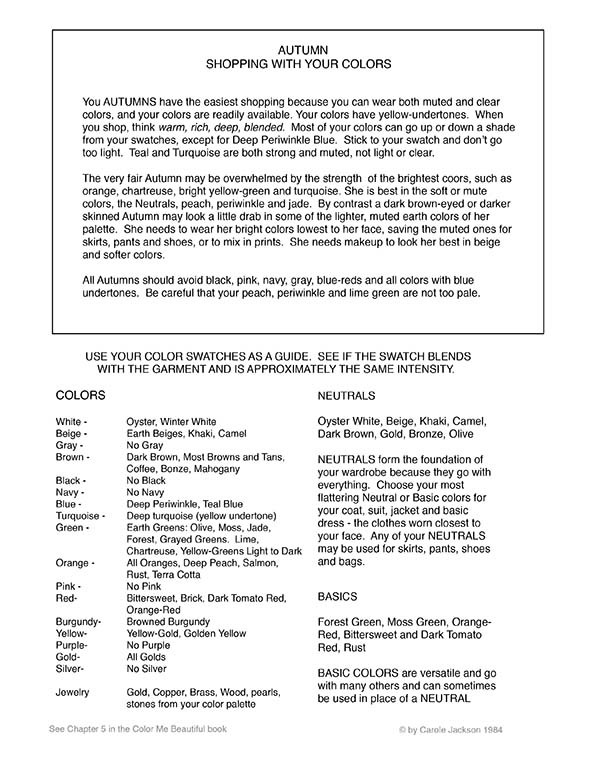 You can PRINT YOUR COLORS right here on my website, plus a shopping guide for clothes, accessories, makeup and hair color. 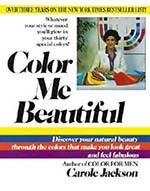 You can shop with your colors on your phone, but most people like to have colors printed to see them all at once or to accompany the Color Me Beautiful book on Kindle. WINTER, SUMMER, SPRING OR FALL – WHO’S THE FAIREST OF THEM ALL? You are! 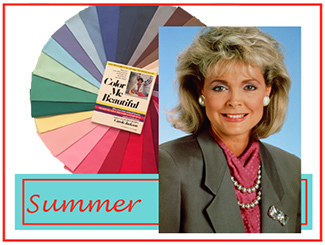 Some women are their most beautiful in the clear, true primary colors or the icy colors of Winter, while others are flattered more by the softer shades of Summer. 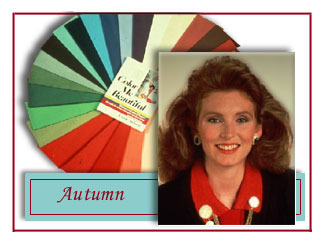 Autumns come to life in the rich, warm tones of fall, and the Spring woman’s coloring is most enhanced by clear, warm colors, like the budding growth and fresh fruit tones of springtime. When you wear your special colors, you are indeed the fairest of them all. SPRING’s palette is fresh, energetic and crisp, with the clear warm colors of spring time – Grass Green, Poppy Red, and Sailor Blue. 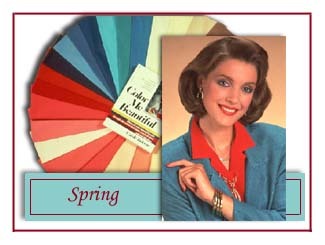 The Spring woman glows in her beautiful shades of Peach, Warm Pink, Salmon, Coral, Turquoise, and Periwinkle Blue. Look beautiful all the time – whether in a T-shirt or a ball gown. 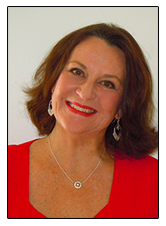 You’ll look like a fashion plate, even if you don’t know how. It happens automatically! The SUMMER palette is full of pastels — and cool, muted colors from light to deep. The Summer woman looks gorgeous in blue – almost any shade. She radiates in the soft colors of a beautiful summer day – Sky Blue, Cloud White and the Blue Green of the ocean. Her coloring blends with the colors of a summer garden – Pink, Rose, Mauve, Soft Fuchsia, Lavender and Watermelon red. You’ll say NO to the wrong colors and save time shopping. 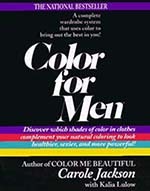 Every purchase is a winner when you shop with your colors. The AUTUMN palette has rich, full-bodied warm colors such as Dark Chocolate Brown, Deep Teal, Cinnamon, Rust, and Forest Green. Autumn women look luxuriously beautiful in earth tones of Gold, Burnt Red, Rust, Olive, Sage — all the color of autumn leaves. You only need a small closet but you’ll look like you have an extensive wardrobe. When you buy YOUR SEASON’S colors all your clothes automatically coordinate! 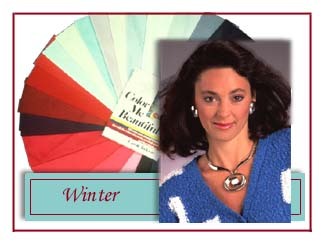 The WINTER palette is dramatic with Black and White, and vivid jewel tones – Ruby Red, Emerald Green, Royal Blue, Purple, and Hot Pink and Fuchsia. 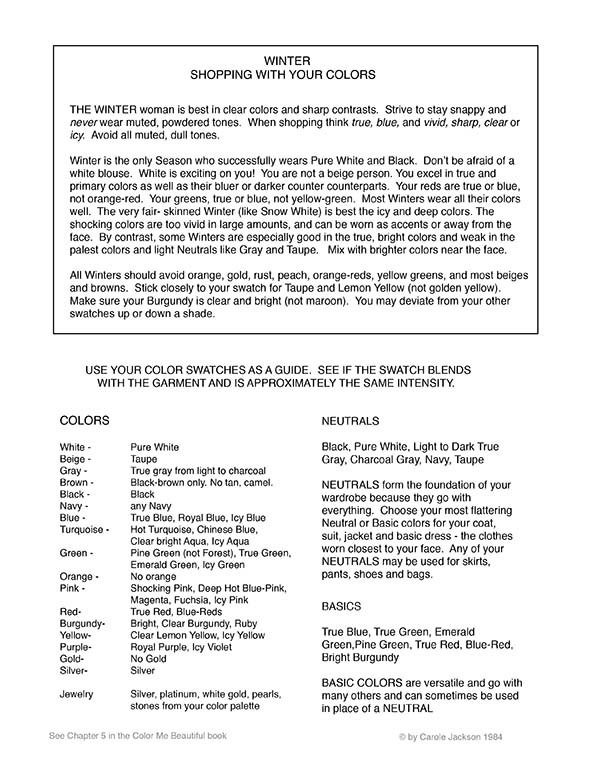 The Winter woman looks regal and elegant in her sparkling primary colors. 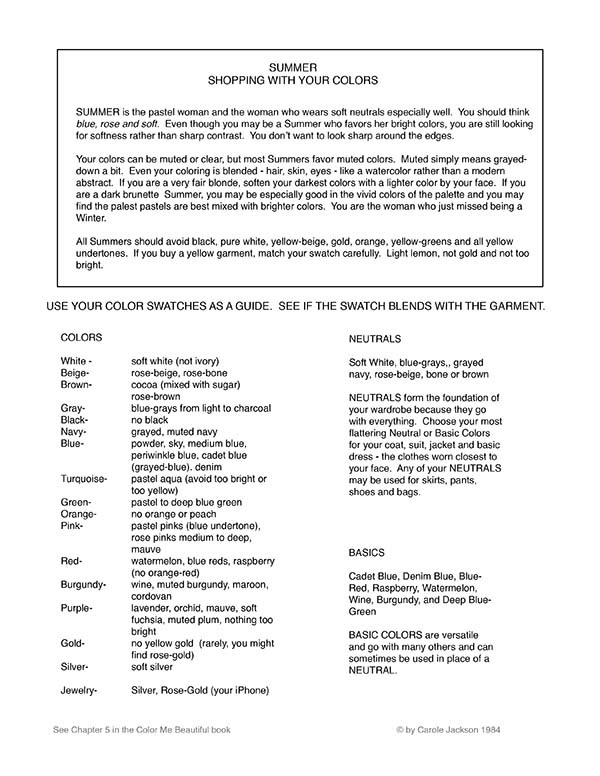 Click on photo to see swatch packet. 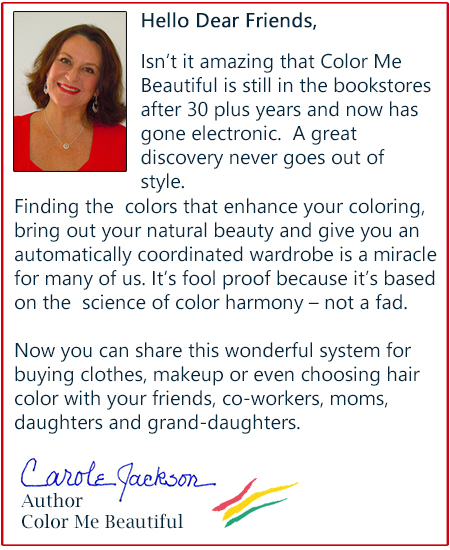 When you shop with your color packet, you’ll save time and money – no more expensive mistakes that hang in your closet instead of on you!